Save Borb Bay from calamity in this addictive arcade-puzzler - one shot from the chute and you'll be hooked! 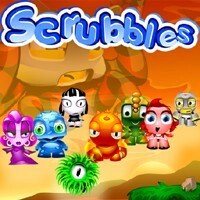 Scrubbles is the arcade-style puzzle game that will test your wits, not just your reflexes. Join the unforgettable cast of characters for an adventure of bubble-popping proportions - just watch out for the Danger Zone! Choose from Journey Mode or Arcade Mode - the addictive gameplay will give you hours of fun! query: INSERT INTO accesslog (title, path, url, hostname, uid, timestamp) values('Scrubbles', 'node/1434', '', '3.80.224.52', 0, 1556144852) in /home/surelion/public_html/drupal-4.6/includes/database.mysql.inc on line 66.